"You are officially invited to join me at Casa Vieja Lodge in Guatemala at an event to celebrate the Best Fly Fishing for Sailfish in the World!" 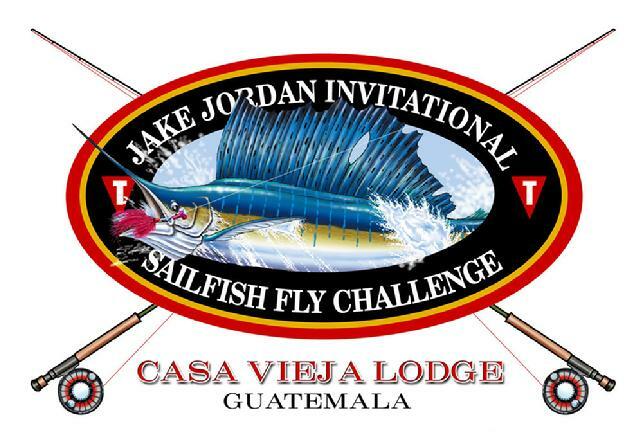 "Jake Jordan's Invitational, Sailfish, Fly Challenge"
Please mark your calendar to attend the tenth annual "Jake Jordan, Invitational, Sailfish Fly Challenge" to be held at the world class "Casa Vieja Lodge" in Puerto San Jose, Guatemala. Fishing will be on January, 7, 8, 9, 2020, with January 6 available for those who want to have a practice day. IGFA rules will apply with 20 pound class tippet supplied by the tournament Committee. All of the Casa Vieja Lodge fleet vessels and captains are available on a first come basis, there will also be other vessels from the Guatemalan fleet competing for the trophy's in this team competition. 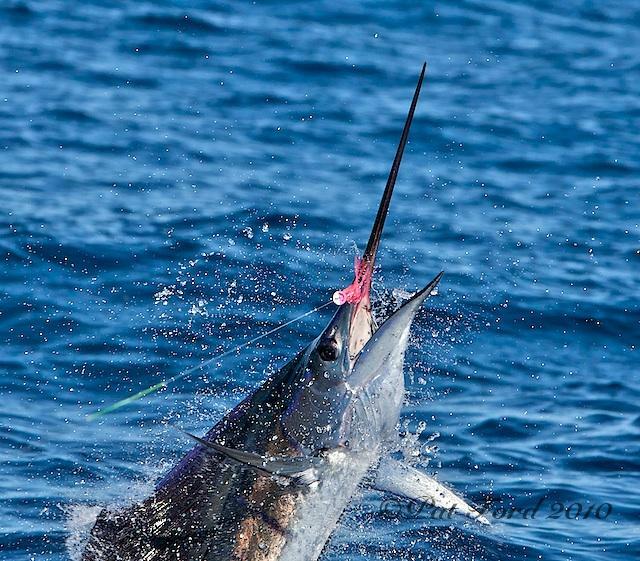 This will be a team fly fishing for Billfish tournament, each team will be comprised of one or two fly anglers. There will be awards for the first and second high point angler,the top three crews, along with the second and third place team and The Overall Team Tournament Champion! We now have 5 teams pre-regestered to fish in the tournament with several more vessels still available to choose from. This invitational tournament is limited so only 10 teams will participate in this world class event. THE COST TO ENTER THE TOURNAMENT IS: $10,400.00. per team! The extra practice day cost is $3,200 per Team. Private rooms add $275 per night per team. Private or Charter vessels fishing in the tournament and not staying at Casa Vieja Lodge have a team entry cost of $2,000 per team. Lots of great awards with Tournament shirts and Hats! NOT INCLUDED: Local Room Tax, Gratuity for Captain and Mates, Gratuity for Lodge staff, or Transportation from your home to and from Guatemala City airport. 1. TEAMS: One or Two person teams, one team per boat. 2. LEADER & LINE: Maximum total leader is 12 feet. All anglers will use Mason line for class tippet material. The class tippet must be at least 15 inches long (measured inside connecting knots). 20 pound test class tippet may not exceed 12" in length. 3. SCORING: 100 points for each sailfish released. 50 extra points will be awarded for each sailfish released after removing the fly and hooks from the fish without breaking the tippet! MARLIN BONUS: 500 bonus points will be given for each marlin release. 4. TIE: In the case of a tie, the team receiving the most points first wins. 5. FISHING HOURS: Leave the dock not before 7;00 AM with lines in the water at 8:00 AM, Fishing ends at 3:30 PM and boats must return to the breakwater before 5:30 PM. Boats not arriving at the breakwater by 5:30 will score 0 for that days fishing! 6. REPORTING: Releases must be radioed in to tournament headquarters (Committee Boat) immediately upon release including if the fly has ben retrieved . Fish not recorded on committee boat log do not count! 7. LEADER LENGTH: Leaders may not exceed 12' in length. I.G.F.A. rules apply to Leader, class tippet and shock tippet. 8. TEASING: Teasing may be done by the anglers, the 2 mates and the captain. Boats must be out of gear during the final cast, before hookup, and during fly retrieving. Fly casting may only be done by the anglers. 9. BOAT MOTION: Boat must be out of gear when cast is made. The fly must be recast if Boat goes back into gear for any reason. 10. RULES: IGFA: rules for fly fishing will be followed. 11. LEGAL RELEASE: The angler must fight the fish for 10 seconds before a legal release can be counted. A legal release occurs when the leader enters the rod tip ten seconds after the hook-up. 12. PENALTIES: Any infraction of these rules or I.G.F.A. rules governing fly fishing may result in disqualification of the involved fish. Protests must be put in writing and turned into the tournament committee on the day of the infraction. The decision of the committee is final. Anglers must turn in daily catch sheets upon returning to the dock daily. These sheets must be turned in whether or not a fish is caught. Catch sheets must be signed by both anglers and the captain, these must match fish radioed to th ecommittee Boat. 13. BREAKDOWNS: There will be no make up time for breakdowns. The captain of the broken down boat is responsible for providing a substitute boat for his anglers. The radio operator will assist with the arrangements as best possible. Points gained by substitute boat will remain with the substitute boat. 14. This is a team tournament, anglers should switch after each bite. Tournament Champion team, Second Place Team, Third Place Team ,First, Second, and Third Place Captain, along with, second place, and top tournament point Angler award.